If you are thinking about attending the 2017 National Festival and you typically train about twice a week, then you have about sixteen classes to make up your mind and register before May 31st in order to save 15%. 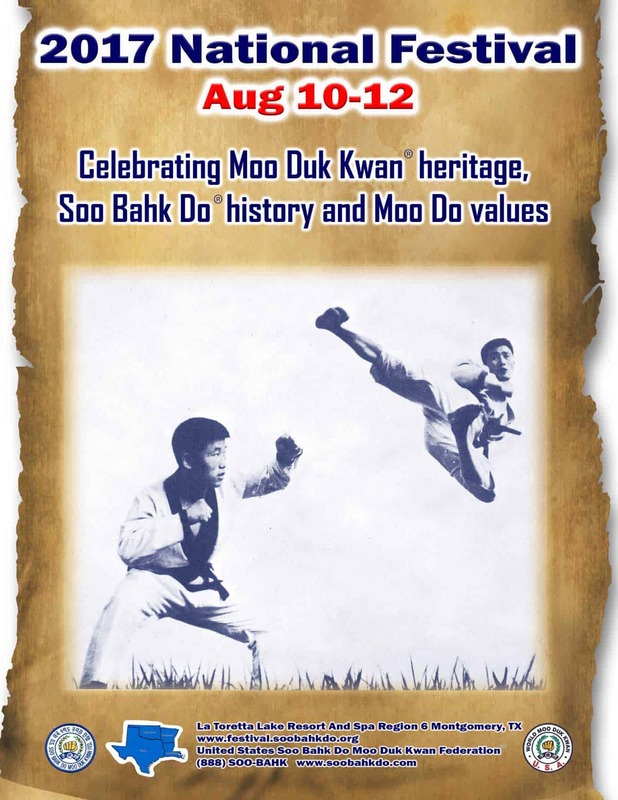 Most Moo Duk Kwan® certified schools provide at least two classes a week for students and classes are typically jam packed with technical content to learn and review. When a National event is approaching and certified instructors want students to also experience the many tangible and intangible benefits of participating in an event like the 2017 National Festival, then even more things need to be communicated to students and fit into each busy class session as the National Festival approaches. Different instructors employ different methods of inspiring students about the opportunities of attending the National Festival and educating students about how they can enjoy the most rewarding experience possible at the Festival and finally for motivating students and parents to take action and register. Less than 13% of all students typically attend the National Festival because attendance requires a big commitment to one's Soo Bahk Do® career; however, attendees consistently report that the benefits of participating far outweigh the time and expense required to do so. Sixteen Classes will pass before you know it. Get started now. Some dedicated students who are determined to attend the Festival despite the time and costs involved may also seek to acquire sponsors from among family, friends and local businesses to help offset the costs of attending. You can do it and we've provided a couple of sponsorship forms to help you out below. Below you can download two “ready-to-use” sponsorship forms to reach out for sponsors from now until the Festival. Scroll down for a Regional Team Member sponsorship form.